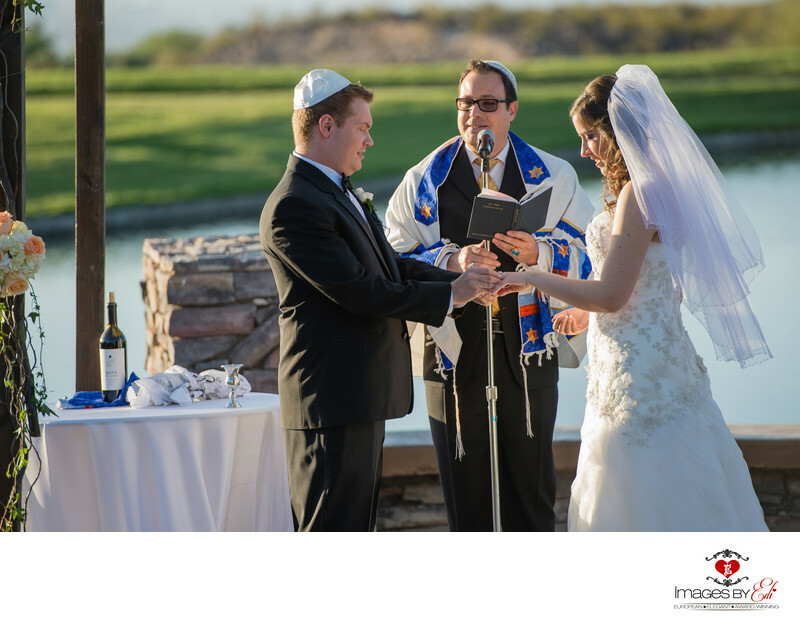 Anthem Country Club is an Exquisite, intimate Private Golf Club, surrounded by breathtaking mountains and panoramic view of the skyline of the Las Vegas Strip, which provided an awesome backdrop for this Las Vegas jewish wedding. The outdoor ceremony was hold at the lakeside grassy terrace, called The Commons, overlooking the water. The image captured the moment when the groom placing the ring on her bride's finger. Keywords: Anthem Country Club Las Vegas Wedding Photographer (9), Anthem Country Club Las Vegas Wedding Photography (9), Images by EDI (300), Las Vegas Wedding Photographer (624), Las Vegas Wedding Photography (642), Wedding Couple (204).